Purchase fills in missing puzzle piece for embedded microcontrollers. ARM said today it purchased Offspark, a Dutch IoT security software company, expanding its reach into the embedded IoT world where security is emerging as one of the most pressing concerns. The deal expands ARM’s focus on security, which until now has largely been focused on its TrustZone technology inside its processors. TrustZone is a hardware solution that allows compartmentalization between memory and processes. While that’s a critical for security in processors, one of the gaping holes in Internet of Things security involves microcontrollers. MCUs are less costly than processors and simpler in design, but one of the big concerns with using them for compute engines has been around security. ARM’s solution here is transport layer security, or TLS, which sits at level four on the seven-layer Open Systems Interconnection model—above the network and below the communications session. That transport layer is focused on the reliable transmission of data between different nodes on a network. Mbed is an open-source platform and RTOS for IoT devices based on ARM microcontrollers. TLS will ride atop the network transport layer, so it will work with IPv4 and the new IPv6, which will be required because IPv4 is running out of addresses. TLS is written in portable C, and mbed TLS modules are loosely coupled. It is available as an open-source or closed-source commercial version. Fig. 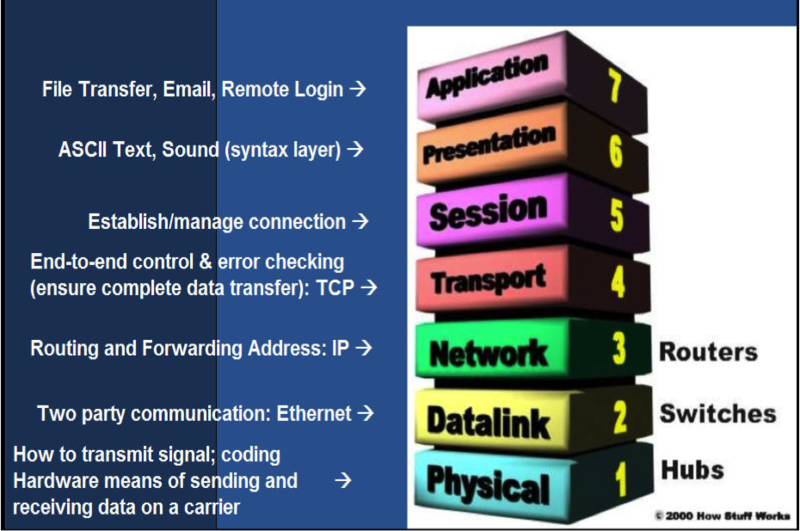 1: The 7-layer OSI model. Courtesy technology. Courtesy: blurtit.com.